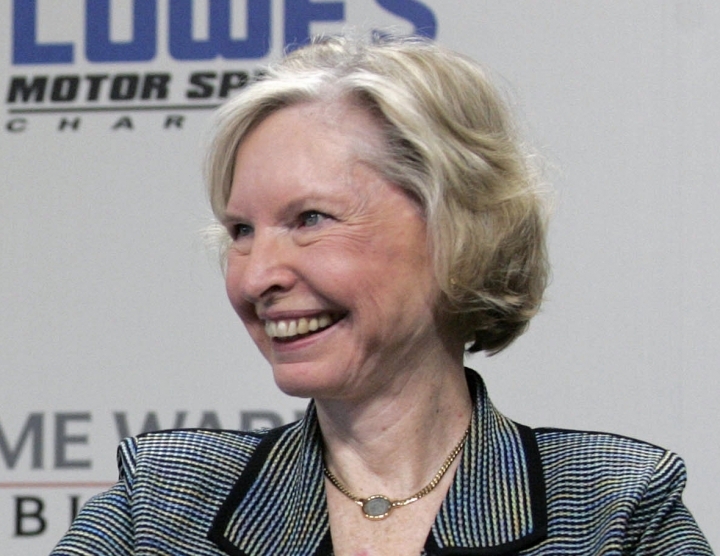 CHARLOTTE, N.C. — Janet Guthrie, the first woman to qualify and compete in both the Daytona 500 and the Indianapolis 500, was dropped from the latest list of nominees for NASCAR's Landmark Award that honors contribution to the sport. Guthrie and Barney Hall, longtime anchor for the Motor Racing Network, were dropped from the Landmark Award nominees announced Wednesday night. Hall in 2013 was inducted into the Hall of Fame and Brandel made it last year as the first woman to report from inside the NASCAR garage in 1972. The 24-person nominating committee meets during Speedweeks of the Daytona 500 to select the Hall of Fame and Landmark Award nominees. The committee includes eight NASCAR executives — among them Helton — and the daughter of Pocono founder Mattioli is among the 13 track operators who decide the nominees. There are four women on the panel. "I was an admirer of Jim Hunter, who treated us well back when not everyone in NASCAR did," she wrote. "What I really wish is that I had found the funding to continue racing for the 10 years necessary to be eligible for the Hall of Fame itself. I felt certain that, had I been able to continue full time, I'd have won Cup races." She made 33 starts at NASCAR's elite Cup Series from 1976 through 1980. She had five career top-10 finishes, and her sixth-place finish at Bristol Motor Speedway in 1977 is shared with Danica Patrick for the top finish by a female in NASCAR's top series in the modern era. 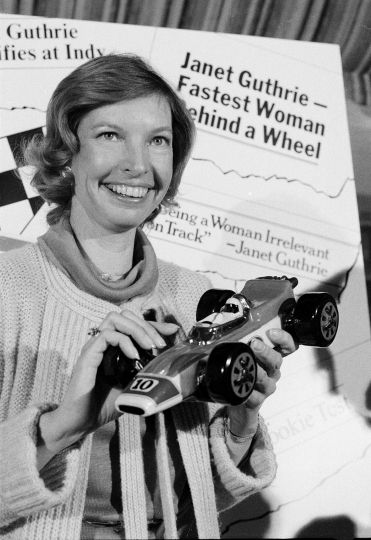 In her book, "Janet Guthrie A Life at Full Throttle," Guthrie recounted the icy reception she received from other drivers when she arrived for the '76 race, where she finished 15th. "When I shook hands with Richard Petty I thought I'd get frostbite," Guthrie wrote. "Later, he would be quoted as saying of me: 'She's no lady. If she was she'd be at home. There's a lot of differences in being a lady and being a woman.'" "The deal with her ... she came in before you had any diversity deal," he told AP. "She come in just as herself and done a decent job. She come in the hard way, because no one really welcomed her in. She said, 'I'm here, I'm going to do it,' and she was able to get it done. You have to admire her for that."